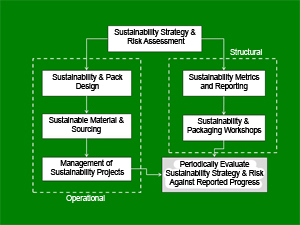 Whilst the individual services are interlinked to deliver a robust and complete methodology with which to apply the sustainability principles to your packaging & related operations, they are also available individually should you not wish/need to start with the “Strategy and Risk Assesment” module. After the first meeting with you SLOOP will provide you up front, with no obligation, a detailed description of your brief, the actions required to deliver it and an oversight of the costs and timings relating to your project. For a more detailed description of each of the services listed above, please consult the dedicated page related to that service. If the sustainability related service you need is not described, please contact SLOOP. If we can’t help, we probably know somebody who can and will be glad to put you in contact with them.